We are a group of retired civil servants who came together last year because of our concern over what we saw as an alarming decline in the secular, democratic, and liberal values enshrined in our Constitution. 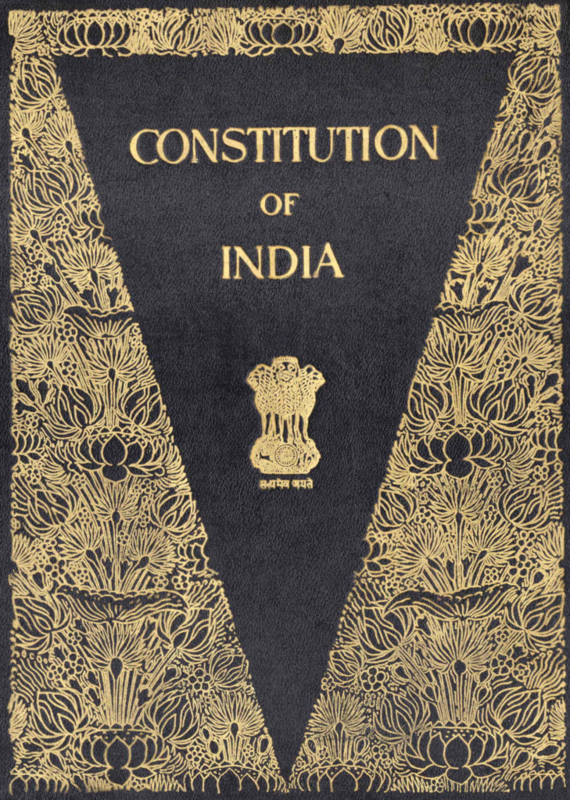 As citizens who have had a close association with issues of public policy and governance and the administering of our Constitution, we felt it was necessary to speak out against the rise in authoritarian and majoritarian tendencies, the abuse of political power and the increasing disregard of constitutional values. We have issued several Open Letters (sometimes in concert with a group of retired veterans of the Armed Forces) and have also together with the veterans organized Conclaves on several issues of public interest. As a group, we are resolutely committed to constitutional values and principles, and are non-political, whatever the political preferences of individual members might be. We feel compelled to write an Open Letter once again, – in what we perceive as the most brazen display yet of coercive authority by the State. The arrests of Sudha Bharadwaj, Gautam Navlakha, Vernon Gonsalves, Varavara Rao and Arun Ferreira and the raids on the residences of Stan Swamy, Kranti Tekula, Naseem and Anand Teltumbde, all of whom have been in the forefront of the struggle for justice for Adivasis, Dalits, Muslims, members of the working class and women and children (a struggle which has been a continuing one irrespective of which Government has been in power) have been the trigger. They have always used lawful and democratic means in their efforts, and this series of arrests shows how wilful and arbitrary the State is to intimidate and silence any signs of dissent and democratic resistance. The excuse for such action hinges on a fabricated tale of a “terror” plot against a high functionary in which these allegedly “urban Naxals” play a role. Incidents quoted refer to the Elgar Parishad held earlier in the year in Pune, of which the highly respected Justice P.B. Sawant (former Supreme Court Judge and Chairman of the Press Council) was a key organizer. The vagueness of the allegations, the manner and the timing of the arrests, the choice of the persons arrested (none of whom were a part of the Bhima Koregaon incident), the use of a law which has lower standards of evidence required for establishing a ‘prima facie’ case, all go to show the insidiousness of the intent. The evidence in the public domain against those arrested appears to be incredible. This is shameful. The charges made against these respected human rights defenders and intellectuals – as broadcast by compliant sections of the media – is that they are supporters of subversive violence, applying to them the newly minted tag of the ‘urban Naxalite’, alleged to be citybased middle-class supporters of Maoist insurgents. That this tag has been applied to a group of persons who have always used lawful and democratic means in their efforts is an example of how wilful and arbitrary the State can be in quelling any signs of dissent and democratic resistance. It is evident that these arrests follow a pattern designed by the current dispensation to tag any dissident or critical intellectual activity as anti-national or seditious or supportive of secession and terrorism. Ironically, while a ‘Maoist sympathiser’ is treated as a dangerous terrorist who needs to be incarcerated, a sympathiser of Bajrang Dal or Sanatan Sanstha or Hindu Mahasabha, who flaunts the agenda of violence and hate, is seen as pursuing a worthwhile national cause. Coming from a political culture where ministers and legislators who fete and celebrate murder convicts and perpetrators of mob violence are given political support and patronage, this perversion of principles is sickening. Prime Minister, we know that this, our letter of protest and condemnation, will be given short shrift and we will be told, yet again, that the law must be allowed to take its course. The question, Prime Minister, is of those who govern and misuse the law for promoting partisan politics at the cost of justice; and that must also stand the test of public accountability and the scrutiny of evidence. The refuge that law and order is a State subject, and that the Union has no role, is not convincing enough as the opinions that have led to these arrests have been built up deliberately by a series of statements in the public domain by the current establishment. Yet, Prime Minister, we know that you have the political authority to give suitable directions to a BJP Chief Minister to withdraw the cases and we also know that should it so choose, the Union Government has the constitutional authority to issue appropriate advisories and directives, which have been used many times in your period as PM for a variety of reasons. As the prime executive authority for administering the Constitution, we hope that you will not permit the brazen trampling of the Fundamental Rights of those who work to protect the rights of the poor and the dispossessed.